Partner Energy can help borrowers who have maxed out their 504 borrowing ability on previous SBA debentures, do multiple projects. Borrowers who implement energy projects per the green program guidelines can 1) increase their SBA 504 loan amount by up to $500,000 for a total $5.5 million per project limit, or 2) have cumulative debentures outstanding greater than $5 million by achieving green status on each new project. It is not uncommon for active green program borrowers to have over $10 million of SBA debt outstanding across their portfolio. Borrowers relocating, replacing, or renovating an existing facility can demonstrate a 10% reduction in energy usage per square foot on their new facility when compared to the old location. Typically achieved through energy efficiency projects: lighting, HVAC, or envelope improvements. Borrowers can install a renewable energy system that generates at least 10% of their new property’s whole building energy consumption. Typically achieved through renewable energy system technology: solar PV, solar thermal, or ground source heat pumps. Borrowers can design and build their facility according to sustainable design standards (typically LEED). *It should be noted that the third option, Sustainable Design Goal, only provides the borrower with the benefit of waiving the job creation goal. It does not carry the financial benefits of the other goals. 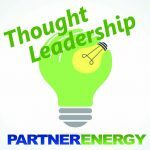 Partner Energy will assist the borrower in the designing and estimating an energy reduction or renewable power generation project that meets new SBA 504 public policy goals and just as importantly, your business goals. Supporting the loan approval process by providing engineering analysis and documentation, certified by a professional engineer, stating that your project meets the green public policy goal requirements. Additionally, Partner Energy will assist in bid procurement and implementation support of the energy reduction or renewable power generation project once your loan has been approved. Partner Energy helps you to make informed decisions on how to execute energy reduction and renewable energy generation projects that qualify for additional SBA 504 Green Loan proceeds and meet your business goals. View the below Webinar for a comprehensive explanation of the SBA Green Public Policy Goals.